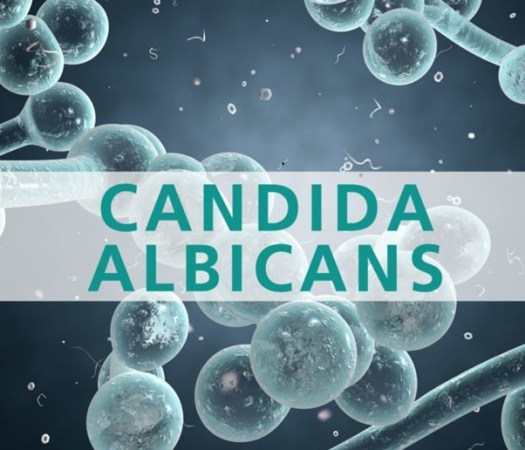 Candida albicans is a yeast/fungus that is found in all of our digestive systems. When kept in balance with our good bacteria, Candida doesn’t cause any problems. But Candida is “opportunistic” – which means, given the opportunity, it can and will grow out of control. When we have an overabundance of this yeast in our bodies we can develop issues. There are many strains, with Candida albicans being the most common. • A high sugar diet: in order to survive, yeasts need sugar. So high sugar diets feed yeasts. That is why many people find relief from many issues from ketogenic diets (higher fat, low carb) – they literally starve the yeasts. • Antibiotics – in addition to taking antibiotics for infections, we are exposed to antibiotics in our food supply – when we eat animal products that have been treated with antibiotics, it could be affecting our gut bacteria balance. • GMOs/Pesticides – did you know that Roundup (the top pesticide used on our food and environment) was patented as an antibiotic before it found it’s purpose as a pesticide? So when we eat foods treated with Roundup – it could be affecting our bacteria balance. The top foods treated with Roundup are soy, corn, and wheat – see a pattern here? These are some of the top foods people are reacting to. • Medications – many medications can impact our gut bacterial balance including birth control pills, NSAIDs, and many others. • Alcohol intolerance (get drunk easily, poor recovery) – Candida releases a toxin called acetylaldehyde, which is the same chemical that makes us drunk from alcohol. So those with Candida overgrowth may already be “pre-drunk” from the Candida. 7. Try to have a relaxing time during the month while dealing with this.